For a number of years I had been using a Trangia 27-1 UL spirit stove system and was happy with it but didn’t like the length of time that it took to boil water and to cook. The final straw for me was sitting and waiting for our water to boil and watching nearby campers start preparing their breakfast and finish before we had even started eating. Admittedly we were at high altitude and it was pretty cold so our trusty Trangia was preforming much slower than normal. Please note that price of the stove unit and fuel cost wasn’t mentioned in our wish list. While we don’t like wasting money the criteria identified above were the overriding factors and ultimately what steered us in the direction of choosing an integrated stove. Integrated gas stoves which include the burner, a windshield, and cooking pot. Many also contain an electric starter button as well so don’t rely on matches. This stoves are probably the easiest type to use so if you are a beginner and want something simple, and reliable then this is the way to go. 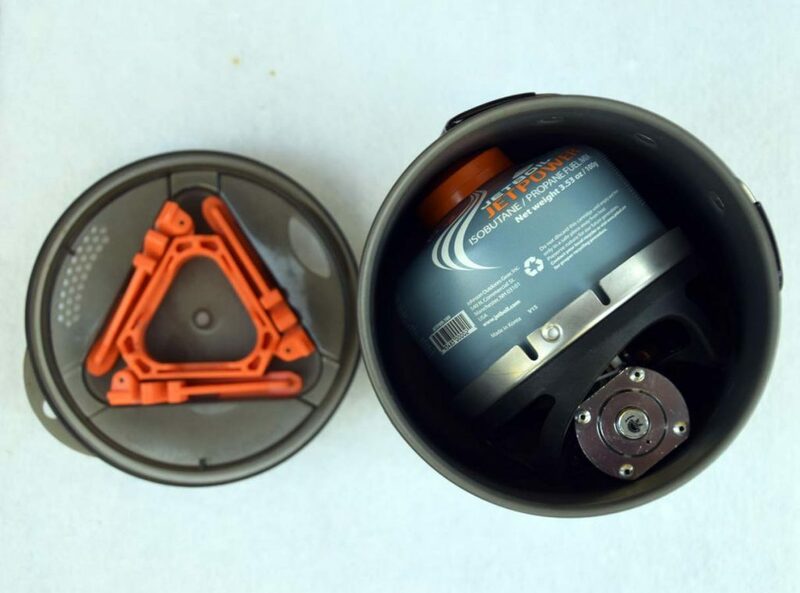 The Jetboil company pretty well owns this segment of the market and produces a number of integrated stove systems that are all different enough to meet specific needs of just about any hiker. Their main competitor, MSR, are making inroads producing very similar looking models which have a very good reputation for wind resistance but are also more expensive. Where we did make a price decision was in choosing Jetboil rather than MSR which was a dearer option. With our own set of criteria in hand our decision came down to the Jetboil Minimo which at the time hadn’t been on the market for very long. We have used this stove on trips of 7-14 days in length as well as on simple overnight hikes and have found we definitely made the right choice. This unit has a 1 litre water capacity which means that on most nights when we are boiling water for a dehydrated meal, a dehydrated dessert, and two hot drinks that it only takes us about 5 minutes heating time. 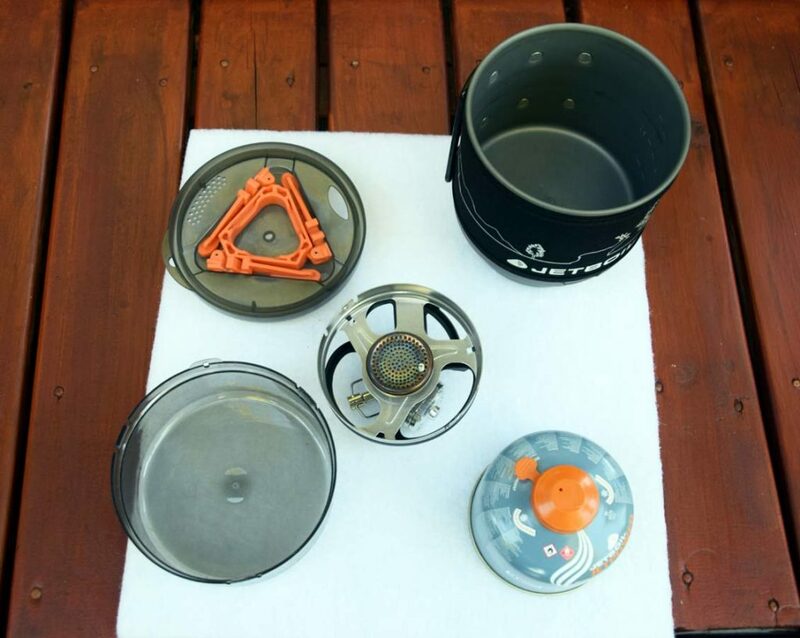 This rapid boiling means that you use very little fuel and we have found that a 100 gram fuel canister will last the two of us comfortable for seven days unless we are hiking at high altitude which uses more gas. 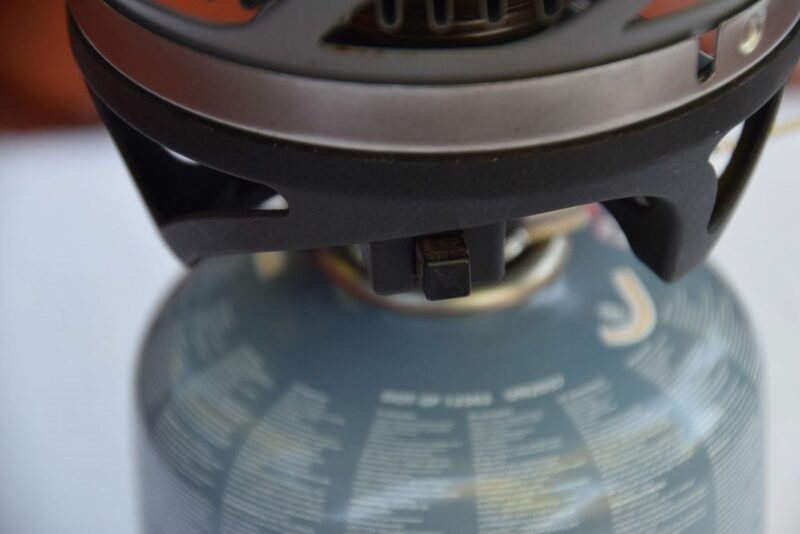 The larger gas cylinders are more cost effective but that is at the expense of the extra weight that you have to carry. 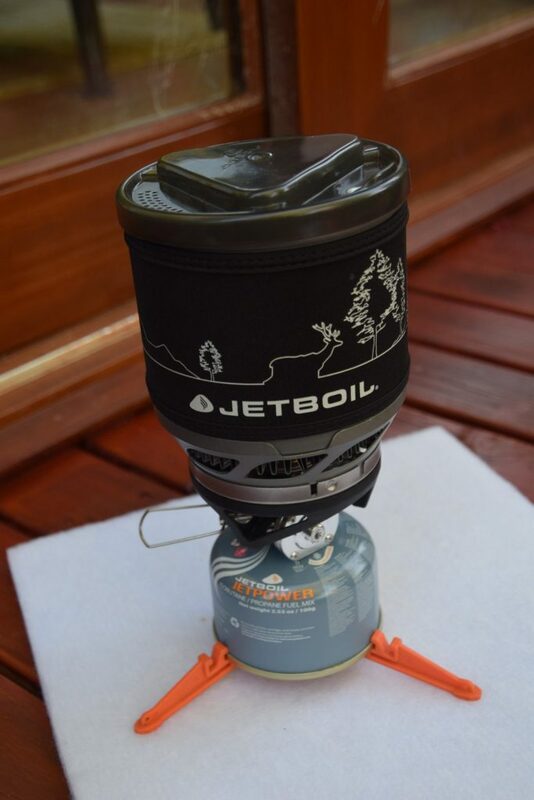 Any stoves will have their negatives and this includes the Jetboil Minimo. Jetboils are well known of the ability to rapidly heat water and they do this exceptionally well. The Minimo will boil 500ml of water in under 2.5 minutes. However in doing so they create a ‘hot spot’ on the cylinder base which means that if you are trying to cook complex meals on the trail that you run the risk of burning the food sitting directly below the flame. I’m not saying that you can’t cook with this units but you will need to pay very close attention to what is going on and not walk away from the food while its cooking. Weight wise these stoves aren’t the lightest around so for solo hikers the Minimo is not the best option. If you are going to use a Jetboil as a solo hiker look at their other models. A common negative for any gas stove is the difficulty in gauging how much gas you have left or for that matter estimating how much you will need on a given trip. On our Larapinta Trail trip it was common to see a number of partly used cylinders being left in the food storage cupboards at the trail heads and some of these were large size that would last me a month or more. Another issue that Jetboil stoves have is that they can be effected by strong winds so out of habit we will always set up our cooking area in a sheltered position just to be on the safe side. The MSR brand integrated stoves are well known for there ability to cope with wind but that is reflected in the price. So depending on how windy your composites usually ar this may be a determining factor ind escaping which mode to go for. Overall we have been very happy with our Jetboil Minimo and would happily buy another one. 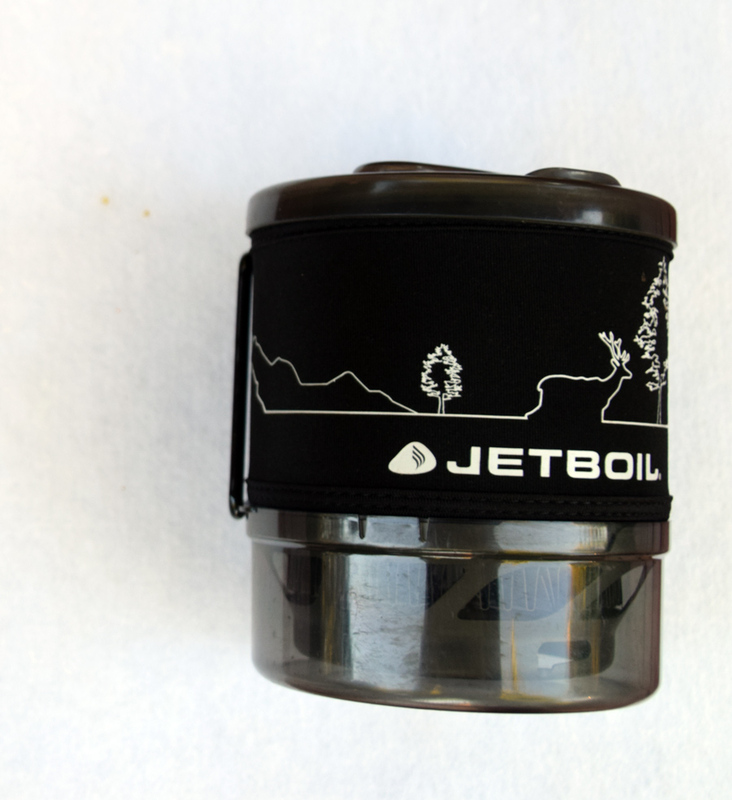 In fact we have only recently purchased the jetboil Flash for solo hikes. So If you are a couple looking for a new stove consider the Minimo a string contender. Boils 500ml water in under 2.5 minutes.